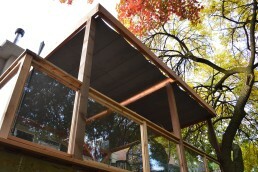 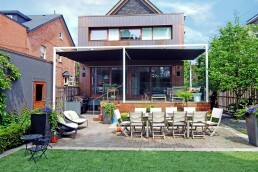 High up amongst the leaves, this project in North Toronto quickly gained the appropriate nickname ‘Treehouse’. 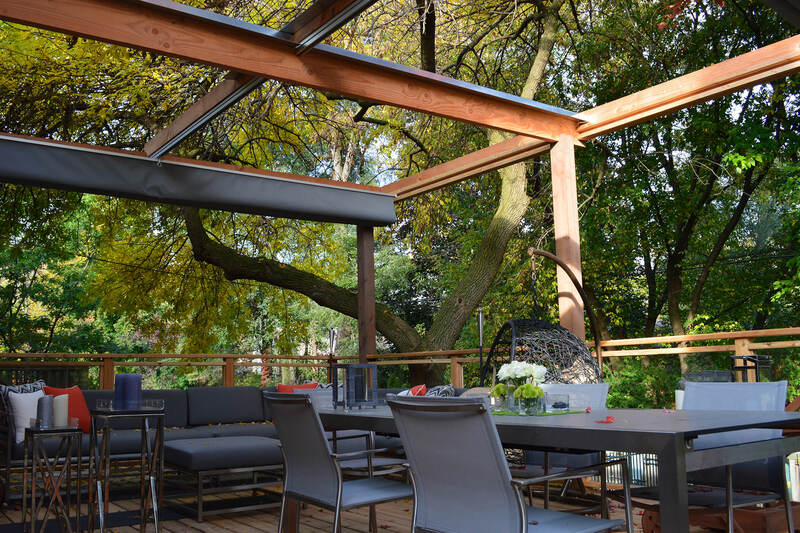 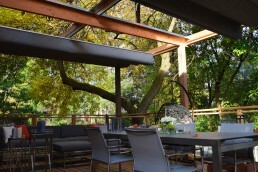 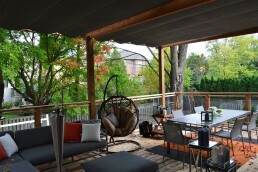 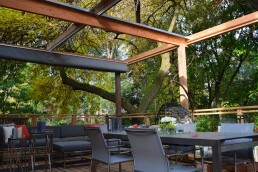 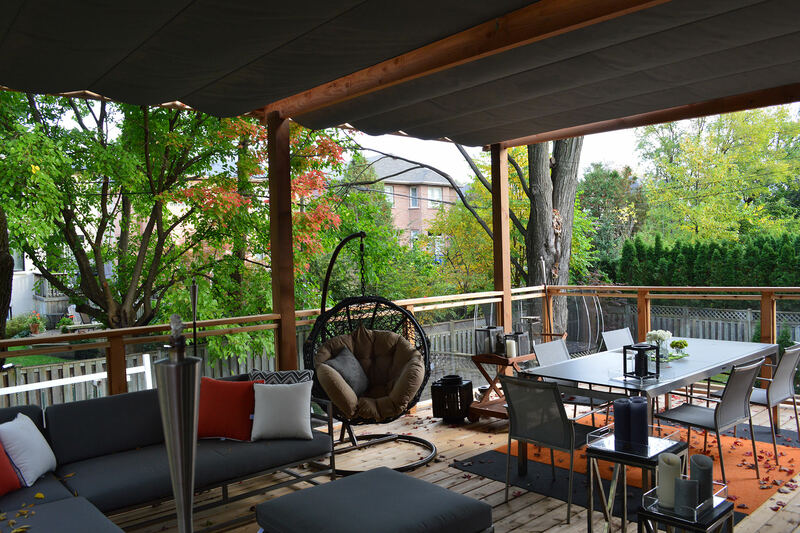 Designed with the use of sheet metal to minimize any potential dripping under the retractable patio covers, this project has a clean modern look with an industrial edge that literally goes above owners expectations. 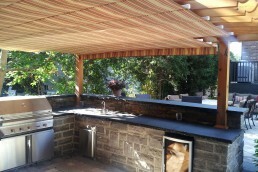 This kissing canopy arrangement required a cross beam due to the long span dimensions. 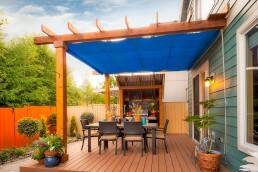 Each canopy spans 10′ long and 18′ wide. This piece is constructed from our ‘Putty’ coloured waterproof Harbor Time fabric. 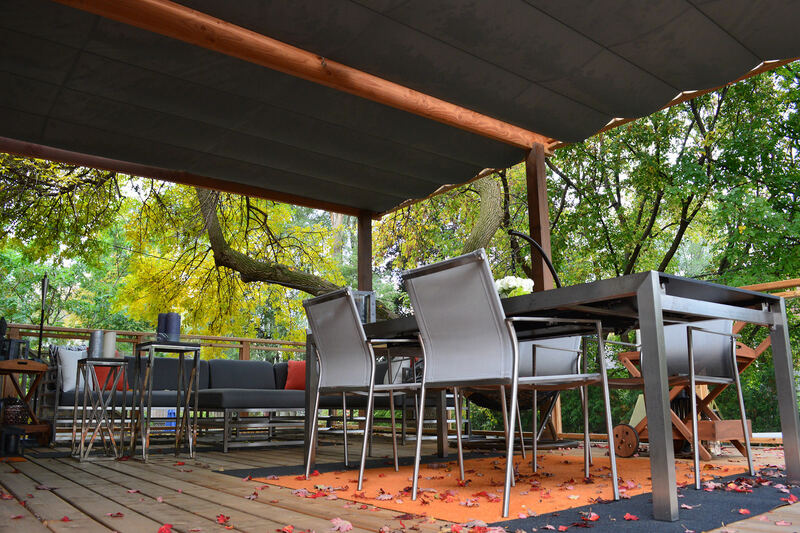 The sheet metal covers ensure that all rainfall lands on the canopy behind the front wing and is carried beyond the railing into the yard.